The spring homebuying season is here, and with it, a tighter squeeze on an already slim Denver housing inventory. Who’s feeling it most? First-time homebuyers. Some postpone homeownership, even though they see the benefits—potential equity, protection from rent increases and the pride that comes from owning a home, just to name a few. Others might settle for a resale home that fits their budget but doesn’t quite fit their needs. What they may not realize is, new home construction may be an attainable option. The Seasons™ Collection at Copperleaf was designed to put Richmond American quality within reach for a wide range of homebuyers, in every season of life. These floor plans pack a lot of in-demand home features, like 9′ ceilings and center-meet patio doors, breakfast bar islands and tech center options, into a smaller footprint. Typically sized from 1,420 to 1,960 square feet, Seasons™ homes are popular among not only first-time buyers, but also current homeowners who want to downsize to a lower-maintenance home without downgrading. Adding to the collection’s appeal is the wide range of personalization options available to buyers who build from the ground up. Working hand-in-hand with a design consultant at Richmond American’s Home Gallery™, buyers can choose the flooring, cabinets, countertops, home technology, finishes and fixtures that will make their home uniquely their own. Seasons™ exteriors were designed to blend seamlessly into the neighborhood’s existing streetscapes and complement Copperleaf’s natural setting. Perhaps best of all, new home construction bypasses bidding wars! Because new homes are sold on a first-come, first-served basis, buyers don’t have to endure the emotional rollercoaster of putting in a bid, only to lose out to deeper pockets. Seasons™ floor plans are only available at select communities, but they’re a hit with homebuyers wherever they’re offered. From first-time buyers to existing residents who love living at Copperleaf but have different housing needs than when they first moved in—there’s something for everyone! This collection is now selling in Copperleaf’s Ponderosa and Willow neighborhoods. 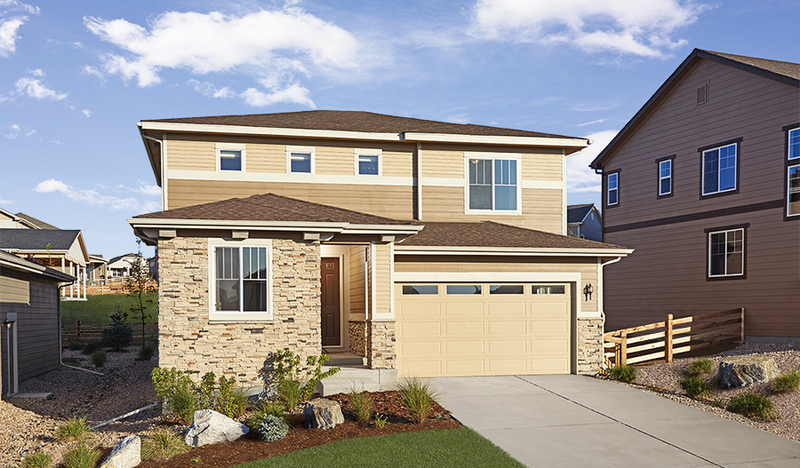 Be sure to tour the Onyx, Coral and Citrine models! This was a guest post written for Copperleaf Community by Richmond American Homes.